A modern Thai design villa, Baan Gecko is one of two properties on the exclusive Nathai Estates development managed by Krabi Riviera Company. 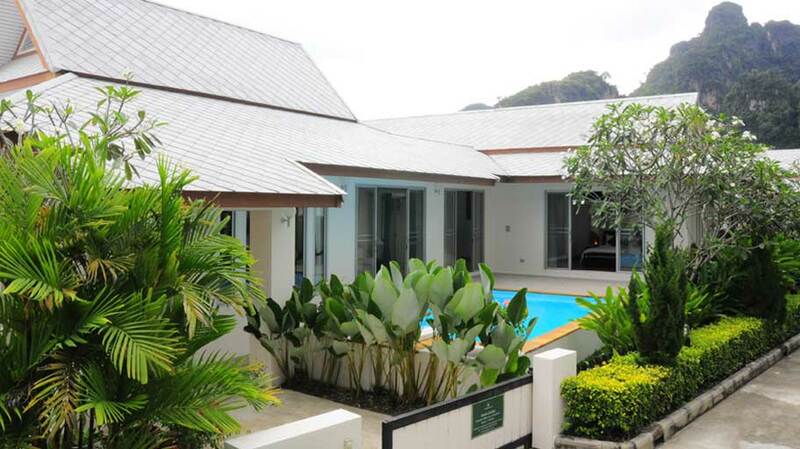 It may be rented along with its neighbor, Baan Chang, for big groups. The pool outdoor patio features tile decking and sun lounge chairs, in addition to a corner for al fresco dining. Premium barbecue gear is available.